Creative gift giving during the holiday season can be difficult for those on your list that seem to have it all. But we all have to eat, right? So what could be a more appropriate gift for your food and wine loving friends than a fresh produce basket with a premium bottle of wine. Sure homemade cookies or preserves from your kitchen are always appreciated and definitely better than another unnecessary gadget or the newest small appliance to clutter the kitchen counter, but a beautiful gift basket of edibles delivers a statement that says, “you are super special”. The newest addition to Melissa’s Gift Basket line is the Wine & Produce Baskets. Remember the first rule of gift giving is to give something that you would like to receive – that’s why I end up buying two of a lot of things, just kidding 😉 But these baskets from Melissa’s are absolutely a gift that I would be very happy to have delivered to my doorstep. Hint, hint. There are many wine gift baskets companies around, but I don’t know of many that include a bottle from one of Napa Valley’s oldest (since 1882!) 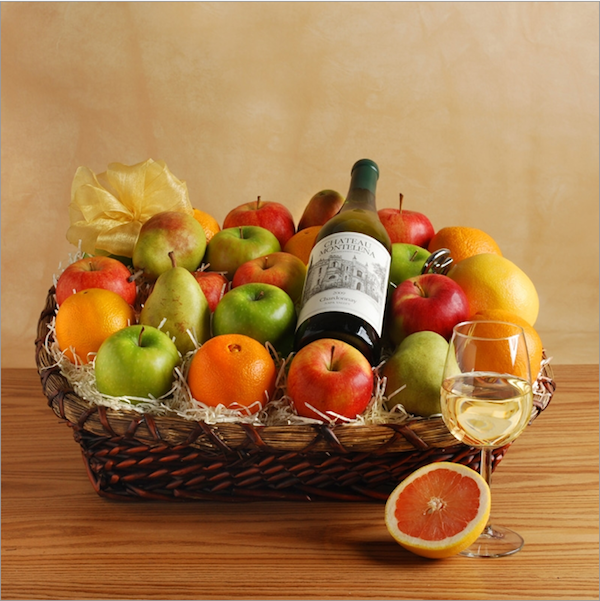 premium wineries like Melissa’s Estate Harvest Wine Gift Basket (pictured above, $159.99). Another one that caught my eye is the Blissful Bubbles Gift Basket that includes a spa gift card and Pixie Tangerines (119.95). The Ojai Valley is widely known for their wonderful spas, but their Pixie Tangerines* are another reason for you to remember the name. 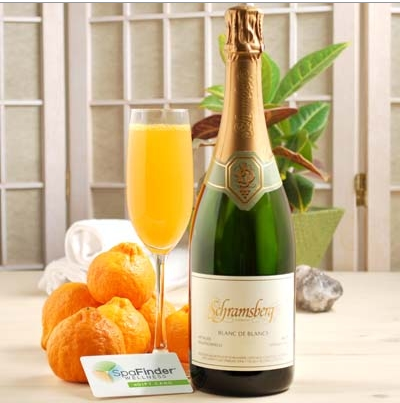 Paired with Shramsberg Blanc de Blanc sparkling wine and a SpaFinder gift certificate, this is all you need to send the gift of relaxation – and we could all use a little more of that! Melissa’s has gift baskets for every occasion – birthday,Thanksgiving, Christmas, Hanukkah, corporate, kids, and even an Organic gift basket for shoppers who desire strictly organic items. You can search for baskets based on price range beginning with the Hidden Treasures Bag in the $20 range up to the Culinary Collection Gift Basket at $500.00. Disclosure: I received no compensation for writing this post and all opinions and witty repartee are my own. If you visit me often, you know that Melissa’s sends me their fresh produce throughout the year to experiment with in the kitchen and that makes them one of my favorite companies to work with. I would be SO excited to get that! As a wine lover I want to grab that bottle of wine. A very informative post.